important strategic choices an organization can make. The early studies on extranets seemed to focus primarily on the benefits of developing and using one with business partners. McCune (1998) looked at cost benefits, as well as less tangible benefits such as helping customers help themselves and thereby deepening the ties between a seller and buyer. Anandarajan et al. 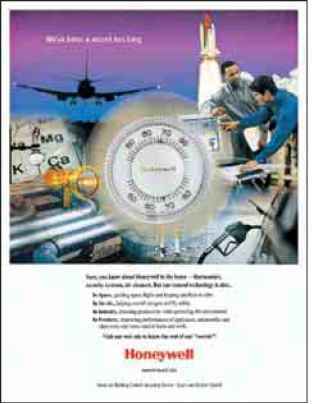 (1998), also looked at the cost-related benefits of an extranet from a value chain perspective, noting that the adoption of an extranet by an organization aids it in three areas: Strategic benefits, tactical benefits, and operational benefits. Although the early studies made a contribution and pushed both scholars and practitioners to start thinking more about this increasingly important web site level, as we entered the twenty-first century, extranet research grew up. Vlosky et al. (2000) put it bluntly in the first sentence of their article on extranets and their impact on business practices and relationships in B2B settings: "Add value" (p. 438). Their overall conclusion was that companies can tailor technologies such as the internet to their own, unique needs, as well as the needs of others in the value chain. These scholars discussed not only the development of and benefits from extranet use, but went on to discuss the value of extranets in buyer-seller relationships and how they are actually used in such settings. Baker (2000) explained four keys to success in developing an extranet strategy in the form of four functions: First, extranets have always been (and always will be) about information sharing with suppliers, partners, and/or customers; the second function is that, beyond information sharing, an extranet could be used as a strategic form of communication between companies; the third function focuses on providing access to key information application processes (i.e. order entry and production tracking); the fourth function, and possibly most critical according to Baker, is overall security, or the ability to safeguard such information and the way in which it is communicated. From this, Ling and Yen (2001) weighed the advantages versus disadvantages of using an extranet, as well as the use (or applications) of them within sales and marketing, product development, customer service, human resource applications, as well as financial applications. Starting in 2002, Sharma began to look more at "value" and extranets specifically from a B2B perspective. Taking an evolutionary perspective on the use of the internet in such settings, Sharma found that value will increase as the users of an extranet take a journey through various levels of extranet development: Starting with information, then communication, transactions, relationship marketing, and finally e-commerce. The flaw with this thinking is that "value" is only created if something is sold and purchased online, yet in many industrial settings, this is not possible. This is also contradictory to other scholars who feel that information is of much greater value compared to where Sharma places it: Freiden et al. (1998) state that information itself is a unique and important part of a new concept of "product", which focuses on an equal integration of tangible good, services associated with, and information included in the "product". Information, according to Walton (2000), will become the gold of the twenty-first century. Dubas and Brennan (2002) published research on the marketing implications of extranets and webcasting, but again the focus of the article was on the benefits that collaboration among extranet participants (including producers, suppliers, distributors, and customers) brings. It was at this juncture of the literature review that an important question arose: Is what the supplier or buyer receives in terms of "benefits" the only true measure of online value creation? Gummesson (2002) explains that the "value economy" of today means that, "suppliers both produce and consume value ... and customers do the same" (p. 587). Phairor and Hanmer-Lloyd (2002) focused on the extranet and its profound impact on the way channel members communicate with one another, the value of which is in the improvement of the communication and in the overall relationships themselves (including the putting in of information in order to take it out). Metaphorically, they state that communication is the glue that holds a channel together. Could it be that the extranet has become the "super-glue" of B2B relationships? • What is the value input to this online (extranet) environment by industrial sellers? • What is the value input to this online (extranet) environment by industrial buyers? 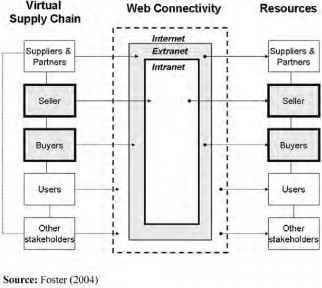 • What is the value output taken from this online (extranet) environment by industrial sellers? • What is the value output taken from this online (extranet) environment by industrial buyers?